Hereford: If you haven’t had a chance to read our review of The Diamond , we suggest you do that first before reading this. 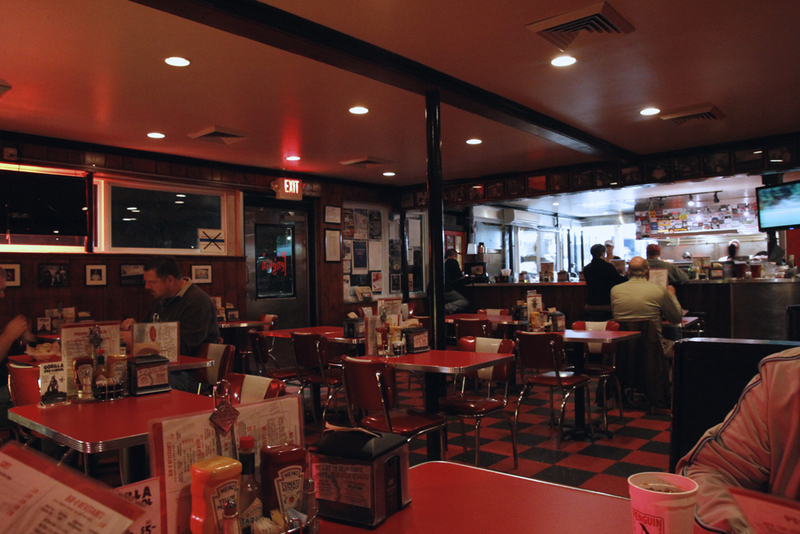 In it we explain a little of our feelings about the Penguin Drive-In when it was being run by Brian Rowe and Jimmy King, and our excitement over the opening of their new restaurant, The Diamond. Eventually, we even talk about the food there. Angus: After reviewing the Diamond, we felt we had an obligation to go back to the Penguin and see what’s changed. We considered it an interesting chance to draw contrasts in how restaurants can be run. Hereford: We should say, though, that we are not unbiased observers. 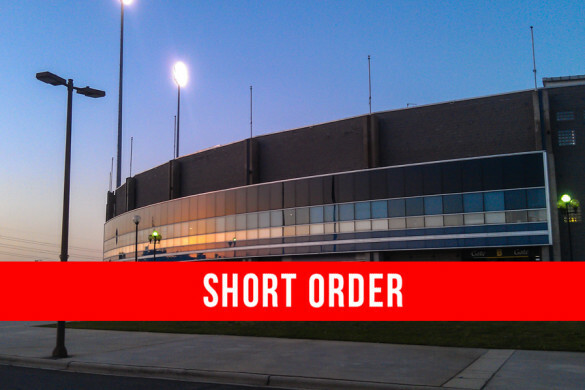 We have very strong feelings about what happened, and those feelings side with the guys who have opened the Diamond. That will certainly influence how we view the Penguin in its current incarnation. But, we’ll try to be as fair as we can. Angus: So, late last Thursday evening we over to Plaza-Midwood to try it out. 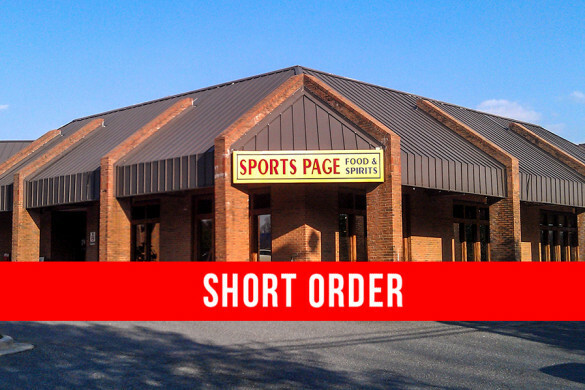 We were able to park right in front of the building—which, for us, was a new experience. Parking was always a challenge before the ownership change—usually we had to park a block away and walk. But, with the ouster of Brian and Jimmy and their crew of servers and cooks, there has been a change in consumer behavior. A lot of people seem to be staying away. Angus: What I don’t think they understood was that what made the Penguin a place that people loved was not the building. It wasn’t even the menu. It was a special mix of the people that worked there and owned it, as well as those things. When they left, so did what made the place special. Hereford: It reminds me of when the contract dispute between CBS and stars Tom Wopat and John Schneider over the Dukes of Hazzard . CBS thought that all that viewers cared about in the show was the car, so they brought in two look alike actors (Coy and Vance ). People hated them—those guys were important. The ratings for that season went down considerably. This is like the Coy and Vance season of the Penguin. It just doesn’t feel right, and people are staying away. They’ve taken sides. Angus: I have to admit, I have to. Personally, I felt like a traitor just walking in there. Emotionally, that’s where I was. I knew I had a good reason to be there, and I wanted to be objective, but, we couldn’t help but hope that people didn’t see us there. Hereford: It didn’t seem like that would be a problem. There weren’t a lot of people in the building to see us, except for the servers and cooks. When we arrived, there were only three tables occupied. Eventually it became just us and another table of guys. We couldn’t get over how odd that was in itself, but it was also felt strange seeing how it had changed physically. Angus: It mostly looked the same as the last time we had been in, but they had changed several things. There were new decorations, and most of them were pictures and newspaper clippings from the history of the Penguin, albeit history from 1954-1999. They had a photocopy of one of their original menus. The posters advertising local bands were, for the most part, gone. (They only had a few up). Hereford: You never would have heard that before. 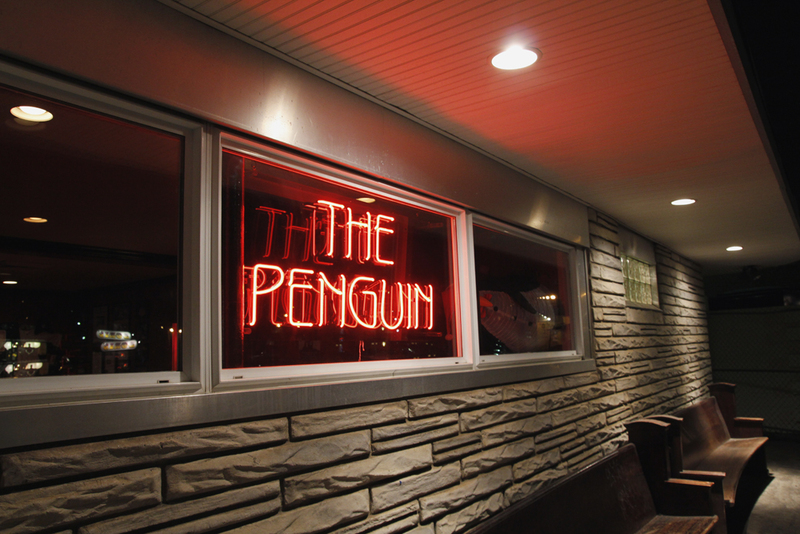 The old Penguin had Sid Vicious, the Pixies, and Johnny Cash in the jukebox, not Bad Company. It was definitely a signal that a new aesthetic had taken over. Angus: The Diamond has a jukebox too, and it looks like the one that was once at the Penguin. We don’t know which place has the original. But, instead of the Budweiser horses over the jukeboxes there is now an old cash register. Hereford: We’re not sure if that’s supposed to be symbolic or not. Angus: There was one thing that really bothered me about the new decorations. At the old Penguin there were a bunch of stickers over the grill. The new Penguin has that too, but they are entirely different stickers. (I noticed because previously they had stickers for the Marines, but now they are gone). One thing that bothers me about this whole turn-over is that it seems like the new Penguin is trading in on what the old Penguin did. It’s obviously not a thank you or an homage—those guys were unceremoniously dumped. Instead it feels like it’s a disingenuous way to attempt to cash in on their style. 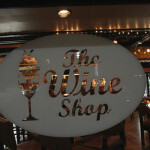 Angus: We sat down in the corner booth and started to go over the menu. It was, obviously, entirely different. The first thing we turned to was the beer menu. We were unimpressed; they had the normal beer from the Big 3, Yuengling, Fat Tire, Ranger, Rolling Rock, and Guinness, but nothing local and nothing really interesting. They also had no draft at the time we were there. We were told they were installing new lines, and they weren’t ready for it yet. We were not led to believe that they would have different beer when the lines are installed. 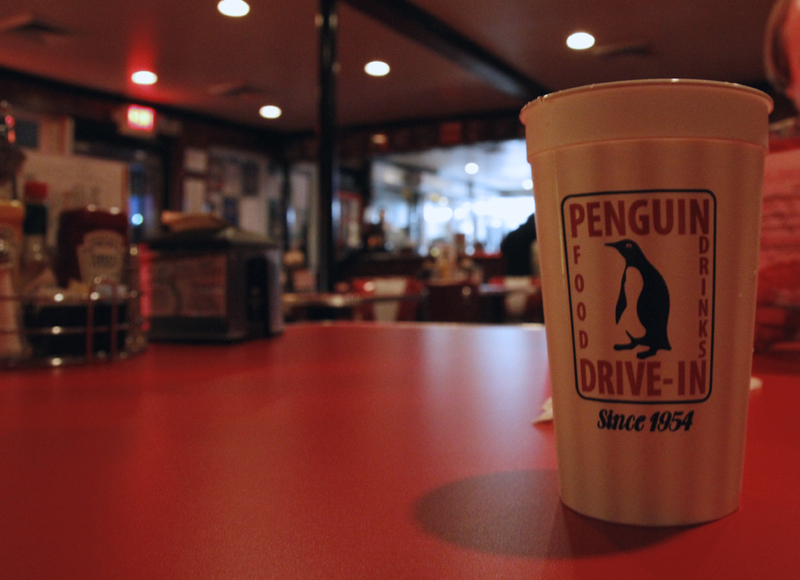 Hereford: We wound up just getting soda instead, and we got a plastic Penguin branded plastic cup for free with it. Just like at The Burger Company , we like that. I asked the waitress what I should get, and she gave me two options: The Penguin and The Billy Goat. The Penguin burger has pimiento cheese and fried pickles on it—and since they are “known for their fried pickles” (as our server told us, leading us to wonder exactly when fried pickles were first served at the Penguin) I wanted to try them. But our server said her favorite was the Billy Goat, which has bacon, pimiento cheese, onion rings, slaw, tomato, and their “famous” Penguin sauce. So that’s what I ordered. It comes in two sizes, and I got the small. Angus: And I ordered the Freak Flag Fly, which has queso, bacon, slaw, lettuce, and tomato. (I had them hold the slaw and tomato). I decided to get a large, especially after I was told that everything is double on a large. Not just the meat—everything. Double bacon and double queso sounded great to me. After ordering, I took a picture of some of the t-shirts hanging on the wall. Our server them asked us if we wanted a shirt. I said, being facetious, that I would take one if they are free. She told us they could probably do that. That put us in a minor dilemma. Normally we’re a sucker for free stuff, but we felt a little bit different taking a shirt from here. It would become an awkward topic of conversation for us to walk around with a Penguin shirt. Still, we considered it rude to refuse. They were offering something to us out of kindness. (Sure, free publicity too, but it seemed like it was mostly kindness). We asked if we could get hats instead, and thanked them, and kind of felt bad. 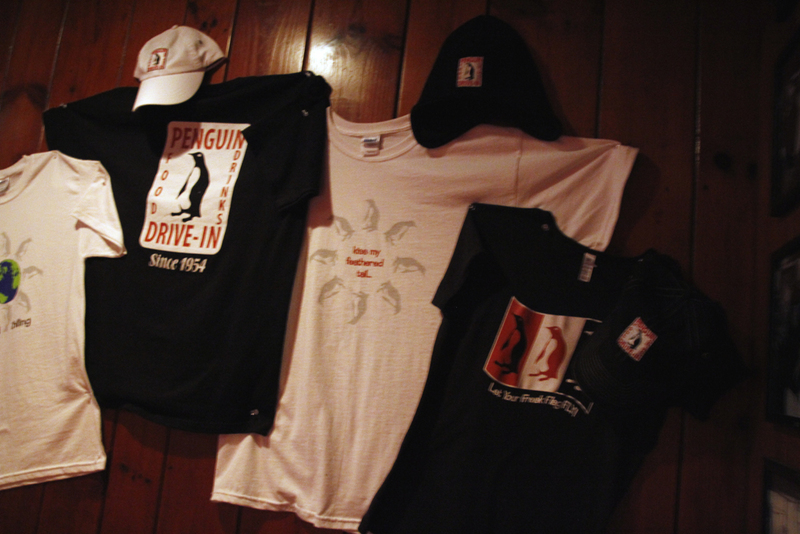 Hereford: We were told that any time someone comes in wearing Penguin branded apparel, they get a free basket of fried pickles. To give away free clothes, which then give you a free food is either extreme charity or desperation. We couldn’t really tell. Angus: After about 15 minutes, the food came out. Angus: The first thing I noticed was that what I was told about a large being “double everything” was not true. I got double bacon, but the queso was only on top, and that was a disappointment. Also, they didn’t have bacon strips—they had bacon crumbles, like you would put on a salad. I thought that was strange. When I bit into it, I could tell that this would actually be a good burger. I didn’t want to say that, but it was true. 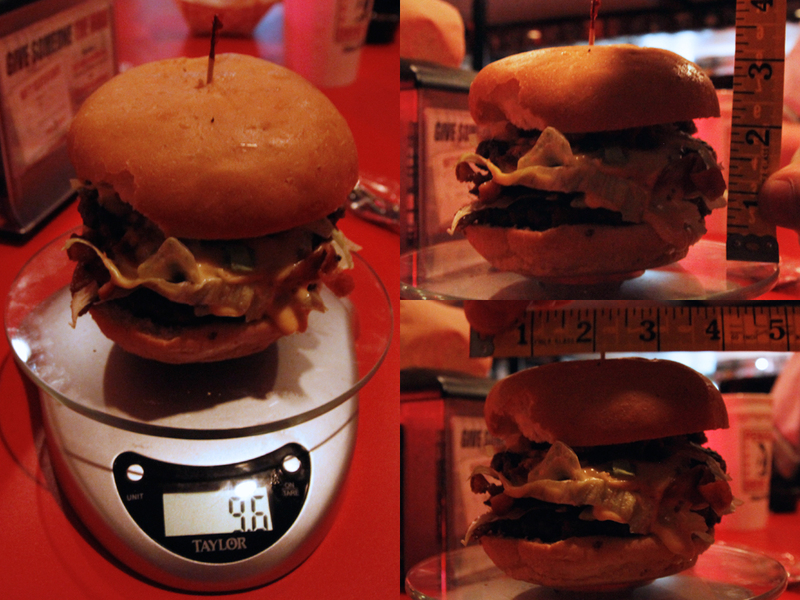 The queso tasted great, and the burger was flavorful, even though it was a bit dry for my tastes. My real complaint was that there wasn’t enough queso, and it seemed to all on one side. After a while it wasn’t a bacon cheeseburger, it was just a bacon burger. But, if they had doubled the queso as they had said I would have nothing but good things to say about it. 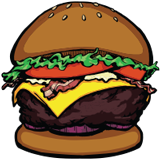 Hereford: The first thing I noticed when my burger came out was that my bottom bun was over-toasted. As a result, it was too hard and crumbled too much. But, like Angus, I liked my burger. The pimiento cheese was really good—it was spicy and was melted all over it. But, the onion rings seemed unnecessary (I couldn’t really taste them—maybe the fried pickles would have been better), and I lost a lot of my bacon crumbles to my plate. And I didn’t even remember I had slaw on the burger until I ate the side where they put it. It was like a pleasant surprise that they had saved for later for me. 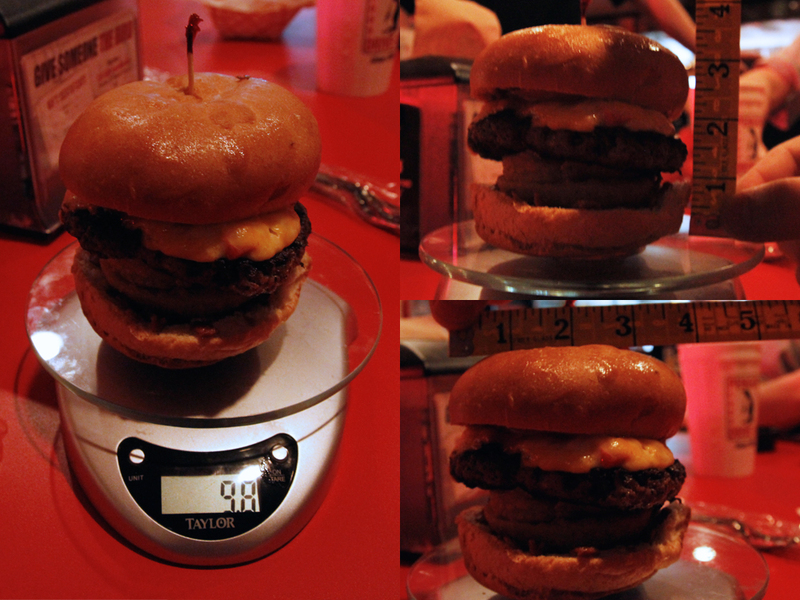 But, because the bottom bun disintegrated on me, at the end I lost everything to the plate, which was disappointing. And I’m not sure that they actually put the Penguin sauce on it. Angus: We got side orders of the Penguin sauce for our fries, and I liked it a lot. It was a sweet barbecue. We didn’t like our fries, though. They were very thick crinkle cut fries, and I thought they were too greasy. Kind of like if a steak fry went home with a crinkle cut fry and nine months later they had this. Hereford: And I thought they had the consistency of stiff cardboard. (It should be noticed that others in our party disagreed with us and thought they were fine). 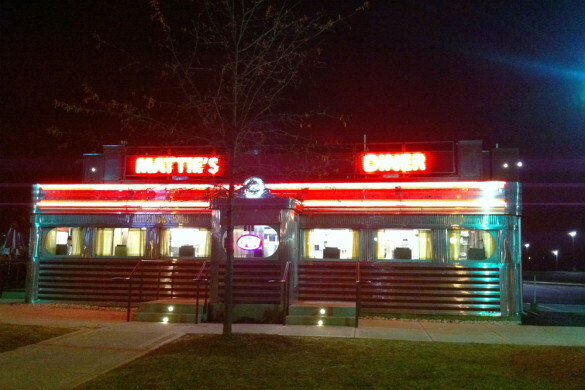 Food: 3.5— We thought their food was actually pretty good, even if we had a few issues. These were burgers that we would want to eat again. Service: 4— In addition to the free hats, they also gave us 20% off of our bill. They were very nice to us, but then, we were the only people there. Again, it feels as if they are a bit desperate. Theme: 4— They have really begun to use the penguin, as a character, to identify themselves. 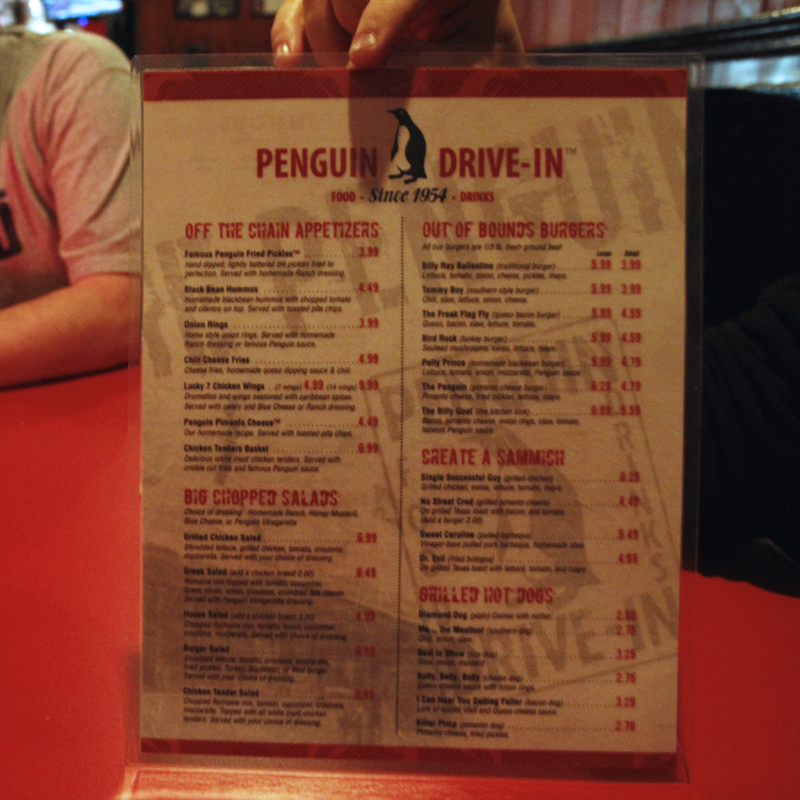 There were a lot of menu items named after the Penguin (including, appropriately, the ice water). Atmosphere: 1— For us, we have to rate this as a one. We were kind of depressed when we were there, if only because it reminded us of what it was before. If you knew nothing, or simply didn’t care, it would be higher—maybe a two. It was still oddly dead, so it still probably wouldn’t be fun. Beer Selection: 2— They had no draft, although they were getting it, but we weren’t impressed with the beer they did have (except for the Fat Tire). We would encourage them to be more adventurous when they add their draft selection if they ever think that the people of this neighborhood will come back to them. Angus: So, the question we asked ourselves was this: If we didn’t have the expectations or opinions that we had about the Penguin would you enjoy yourself there? Our conclusion was that you would, even though you would probably wonder why more people didn’t go there. But that can’t really change how we feel about it. Hereford: As we were walking out to our car, Mrs. Angus said, “This feels like walking out of an abortion clinic,” which summed up what we were feeling fairly well. But, ultimately, what do we want to happen to the Penguin? I know I’m sad to see what has happened to it, and upset to see what happened to Brian and Jimmy, but do we really want to see the Penguin go out of business? What if other franchises open, but the original building on the corner of Commonwealth and Thomas can’t find customers? As much as I dislike the change, I don’t want that to happen. What’s done is done. I’m sure I give money to business people who have committed worse ethical violations—I just have heard more about this situation. Angus: I mean, we’re biased—we’re Diamond fans. 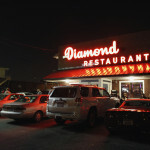 We hope the Diamond continues to have more customers than the Penguin. But, we found ourselves thinking that we would like to see the Penguin finds its place. I think that might mean that they shift what they’re doing somewhat. I feel like they’re still trying to cash in on how it was run the past ten years, and I feel that is wrong. But they could go in a new direction and I wouldn’t begrudge them as much as I do now. I might would even stop by every once in a while. Hereford: Maybe I would even wear my hat.